February 7, 2013 Nefer Khepri, Ph. D.
Day 11. What spread do you use the most? Why? Well, it certainly won’t be the Grand Tableau, which requires all 36 cards of a Lenormand deck. I can’t even begin to imagine doing one of those daily! It depends on how much information I’m looking for, but I waiver between the 5-card Line of 5 reading and the 3X3, or Square of 9. The Line of 5 is good for getting to the answer quickly and concisely. Almost all the information contained within the spread is related to your question. You can decide ahead of time on a significator card, or not. That’s up to the preferences of each individual reader. Sometimes I will pre-select one, sometimes I like all the cards to be randomly chosen. Pre-determine that the House card will be the significator. Now, you can do 1 of 3 things in regards to the significator card. You can pull it out of the deck and lay it on the table. It will then be the center card of your reading. You then shuffle and cut in whatever manner you use, then draw the 4 surrounding cards: 2 prior to the House card & 2 that follow it. That is then your reading. Or, you can keep the House in the deck, shuffle and cut as is your custom, then start to turn the cards over one by one until you find The House. Then take the 2 cards in the deck prior to The House and the 2 cards that follow it. That is then your reading. Or, you can do it a third way, which is to keep the House in the deck, shuffle, cut, and then just draw 5 cards off the top of the deck and that is you reading. All methods work equally well, I have found. However, the only catch is that you MUST decide ahead of time which method you will use and you cannot change it in mid-stream of shuffling the deck. Otherwise you end up with a reading that doesn’t make much sense. The other spread I enjoy using the most is the 3X3, or Square of 9. This consists of 9 cards laid out in 3 rows of 3 cards each. Now, the same ideas for the significator card also apply to the 3X3 spread. You can pre-select it & lay it on the table in the center where it will become Card 5 of the spread. Or, you can pre-determine it, but leave it in the deck while shuffling, then use the counting method as outlined above to choose the 4 cards preceding the significator card in the shuffle and the 4 cards that follow it. Or, you can predetermine what the significator will be, but draw all 9 cards at random & if the significator appears then that card position will have added importance. I prefer the 3X3 for questions that deal with a more complicated situation, especially if more than one person is involved or there may be a number of possible outcomes or alternatives. The 3X3 provides a great deal more information than a Line of 5 because you read the rows first, then the columns (which represent Past, Present & Future), then there are also additional patterns that can be read if you so choose to glean additional information from the cards. The 3X3 gives a very thorough reading and basically covers all points related to the question. Day 12. Have you ever created a spread? Do you think it’s effective? As a reader who has been reading professionally since 1998, yes, I have created many spreads over the years. Some have worked very well while others never panned out so I abandoned them. However, I use self-created spreads for my Past Life Karmic Tarot Reading, my Temple of Love relationship tarot reading, and I will often create a spread that suit’s a clients specific question. Regarding the Lenormand specifically, yes, I have created one spread that is a 6-card spread based upon the Stars card of the Lenormand. 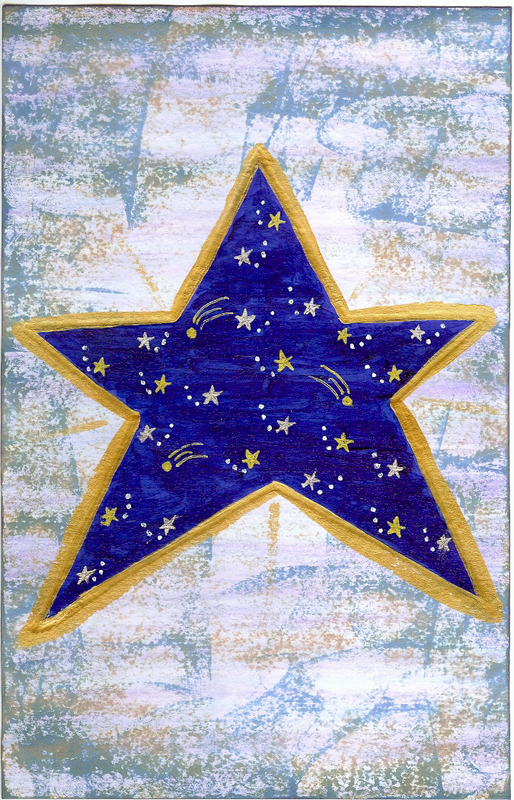 The cards are arranged in a star pattern with Card 6 being the card in the center. This spread works very well with both Lenormand and Tarot cards, but I did specifically create it with Lenormand in mind. However, I am discovering more and more how Tarot spreads can be easily adapted to use with Lenormand cards. I use the Lenormand for guidance and divination. I’m now thinking up ways of using them in magic as well, but that is so reliant upon the imagery of the specific deck used. Some look like they would lend themselves very well to magical use, while other types of Lenormand would not. That was short. I thought of answering one more challenge, however, the next one is a doozy and a topic that is not without some controversy, so I will save that for next time. Meanwhile, if you are interested in ordering a Lenormand reading, please visit my site.